We wanted to hold a TEDx event in order to show how the young generation view the world from our perspective. 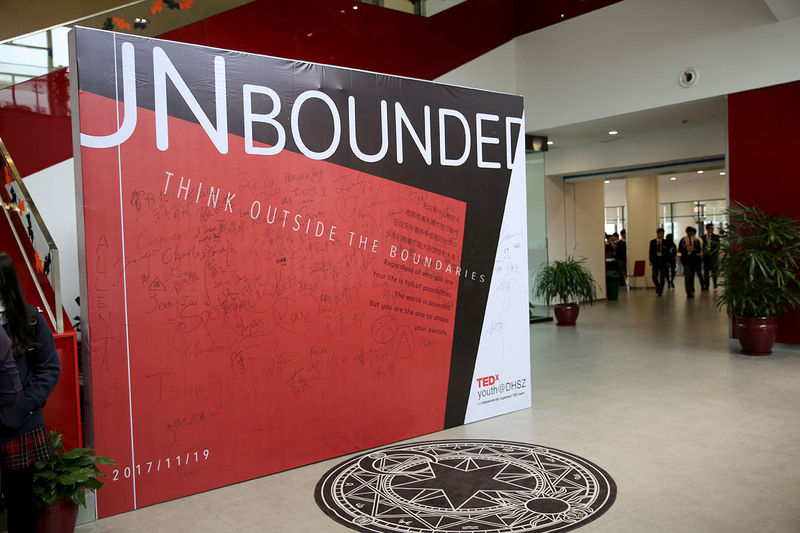 The topic “unbounded”, carefully chosen by all of our group members, definitely provided us with great challenges to evaluate and select our speakers. We utilized our social network to recruit as many potential speakers as possible. We worked really hard to apply for the official license. We will never forget how joyful we were when we were told that we have managed to be accepted to have our own official license. A young and bold TEDx youth@DHSZ group which consists of the speaker recruitment team, speaker assistance team, marketing, sponsorship team, and the writing and design group was set up. We started in June with many ideas on how to make this work. It has been a difficult journey, but we made it all come together in a successful event. “The general assembly not only brought me a collision of ideas, but also taught me to appreciate, to compromise, and also to be tolerant.” - group member, Sally. When we started there was a lot of frank discussion amongst our team members. We all had different ideas, but we finally learned to be sympathetic and learn to understand each other after working together as teammates for a long time. We were facing a huge amount of tasks and there were many challenges and opportunities waiting forus. “Lack of money becomes a serious problem, it is quite hard for young people like us to search for sponsorship.” - group member, Scarlett. Many, many times we have received rejection from our potential sponsors. We sacrificed our time to produce a decent sponsorship cooperation plan. We went through every detail of our budget to save every small amount of money that we can. We finally managed to utilize the limited amount of money to present the best to the audience. It ended up being a very successful event and we are looking forward to the next one.